The beginning of every year unleashes a frenetic rush of activity, from wrapping up performance reviews to finalizing budgets to starting on those plans for the quarters to come. Thankfully, the somewhat painful process of wrangling these inputs is worth the effort, as promotions, increased headcount and team building mandates are often just visible on the edge of the horizon. But while many startup leaders are kickstarting these first few months with a refreshed focus on hiring, that tank full of shiny new year energy and enthusiasm often quickly runs out of gas. Newly promoted managers, old hats, and founders with fresh rounds of funding all eventually run into the same speed bump: hiring at early-stage startups is hard. More specifically, it's a time consuming, nose-to-tail process. As cold outreach emails fly out, applications pour in and onsite logistics multiply, the experience of running a hiring process quickly morphs from a side gig to a seemingly full-time endeavor that monopolizes attention and clogs inboxes. From crafting job descriptions and building balanced candidate pipelines to sifting through impactful interview questions and dialing up references, every step requires careful consideration — and presents plenty of opportunities for process to unravel and dream candidates to slip away. It’s no surprise then that managers and founders are constantly on the hunt for hiring hacks to ease the load. To help out where we can, we’ve rounded up six must reads with thoughtful advice, intentional strategies and a smattering of unconventional tactics to present a package of practices for every stage of the hiring process. Read on for wisdom from those who’ve beaten down the recruiting path and come out the other side with a fresh perspective. We hope you can draw inspiration from their habits as you tinker with your own hiring efforts and look to deepen your well of motivation for all the months that still lie ahead. 1. Go on a hike to set your hiring vision and give out tests, not pop quizzes. Dan Pupius spent six years at Google before moving on, first to Medium as Head of Engineering and then venturing out as co-founder and CEO of Range. But to this day, Pupius feels that he snuck through Google’s intensive interview process. And his experience recruiting others to join the tech giant validated this feeling, as he observed plenty of false negatives (people who could have been amazing contributors) and false positives (candidates who checked all the academic and meritocratic boxes but weren't the right fit after all). That’s why he and his colleagues at both Medium and Range set out to craft meticulous hiring rubrics and remove blind spots from their respective recruiting systems. The unexpected part was that they ended up relying on the principles of product development along the way. For example, setting out a clear and compelling vision is critical to the development of any product. For hiring, it’s just as important. But many founders start with a rather weak vision for team building, which kicks off a weak hiring process. There are the surface-level desires to build a "world-class team” or make the lists of companies with the best culture. But even seemingly more detailed statements such as "I want a team of focused, hard workers who fundamentally believe in our mission" are still too nebulous. To go further, Pupius recommends creating a comprehensive definition of the type of person who will succeed at your company specifically. What is unique to your company and your mission? What unique qualities in people will building that type of company require? Ask yourself, will this vision repel people who aren't a good fit? If yes, that means it's not an empty statement. Most importantly, Pupius notes that the vision needs to consider your team as a whole — a single, coherent product. Just like it doesn't work to build a product as a collection of features, you don't want to build a team that's just a collection of individuals, no matter how exceptional they each are. Their resulting hiring vision was not a statement, but a list of traits, values and skills that new recruits should have to succeed at the company, buttress the existing team, and maintain balance. Now, each recruiting process starts with everyone involved reviewing this list so they're reminded that they're responsible for building a well-rounded, smooth-operating whole. Where might biases get introduced? Where and why might bad decisions get made? Where might people on the hiring loop have blind spots? Where and how might you fail to unearth qualities that would be awesome for your company to have? Use your answers to these questions to create and enforce a set of principles that will help you find the people your vision describes. At Medium, for example, Pupius and his team came up with “Provide candidates with several success modes” as one of the principles. In practice, this meant offering technical candidates multiple choices to demonstrate their relevant aptitudes: whiteboarding, a programming exercise, a design exercise, building an app over the course of a couple days and presenting it to the hiring loop, or coming into the office to give a tech talk to junior employees. 2. Bring in more candidates by avoiding cliches and doing some (gentle) stalking. A lack of diversity often stems from the unintentional, inherent bias that lurks within a startup’s recruiting process. 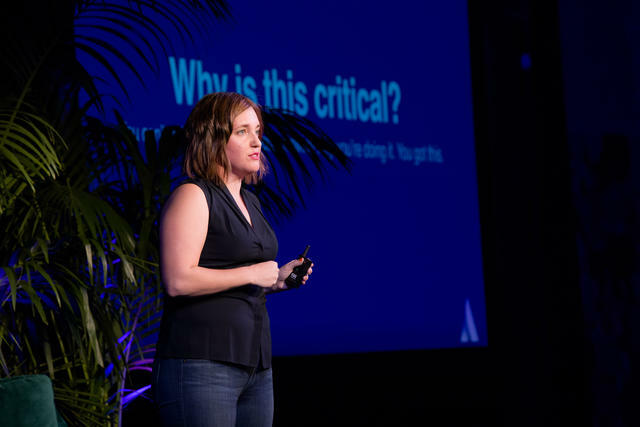 As Atlassian’s Global Head of Diversity and Belonging, Aubrey Blanche worked to combat this by standardizing how candidates were interviewed and evaluated, in order to make sure everyone was assessed against the same technical bar. Tactic #1: Spell out your commitment to fair hiring practices, avoiding cliches like the plague. However, a perfunctory statement isn’t enough — it actually performs worse than postings with no EEO statement at all. “You have to customize it and call out that it’s a priority, in your brand language. It can literally be as simple as writing ‘We encourage people from underrepresented groups to apply,’ on your job ads. That really works,” says Blanche. Drives results. What kind of results? Aggressive, flashy ones or thoughtful, meaningful change? Stakeholders or buy-in. If someone is reporting to their stakeholders, who are those stakeholders? Why not “agreement”? Work hard, play hard. What if a fantastic applicant has outside responsibilities, or is seeking work-life balance and sustainable impact at your company? “A big part of this is just being more thoughtful about the word choices you make. There are incredibly subtle language differences,” says Blanche. “For example, when you describe a position as managing a team, you increase the number of male applicants. For developing a team, it increases the number of female applicants. But leading a team is more gender neutral, helping you get the largest, most balanced and most qualified set of applicants for your open role. Of course you’re actually doing all three, but tweaking the message changes the outcomes,” she says. Tactic #2: Get creative (and do some gentle stalking). Outside of choosing the right words, Blanche also credits her self-described “weird” sourcing tactics as a secret weapon of sorts. 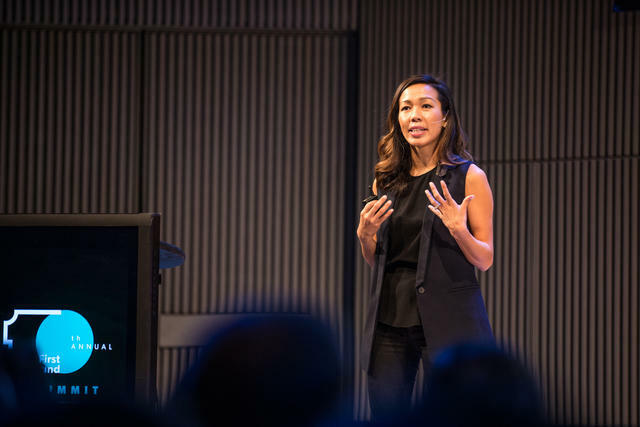 In her role at Atlassian, she actively seeks out underrepresented groups and encourages them to apply. Tactic #3: Spot skills in non-linear experiences. Dive deeper into Blanche’s playbook for stepping up diversity and inclusion efforts to read more of her thoughts on other topics ranging from intersectionality and unconscious bias to data and driving small experiments. 3. Make interviewing a costly team sport. Every engineering leader spends time on building and rebuilding teams, but while at Clover Health and Yammer, Marco Rogers obsessed on designing and refining an immaculate interview process. It was that craftsmanship that helped him hire over a dozen developers at Yammer, grow the Clover engineering team from one to 50, and start to scale up Lever’s technical team. We’ve previously highlighted Rogers’ tactic of using three person interviews to reduce bias and elevate the perspective of more junior employees. But what also stands out from his approach is that he’s designed a system that has gotten his technical teams involved — and energized — to interview their future colleagues. To him, interviewing is a team priority: engineers on his team who are seasoned interviewers can conduct 12-16 interviews per month. Your entire team should conduct interviews. Everybody. If you don’t want some people to interview, ask yourself why. If you’re worried about how they’re representing the company, there’s a bigger issue at hand. A sample on-site interview schedule at Lever. 4. Look for insubordinates and turn candidates into cultural detectives. In the realm of startups, the initial act of founding a company is an expression of nonconformity. Founders must eventually convince others to join them, internalize that vision and will it into reality. But isn’t it counterintuitive to bring other nonconformists — who may buck their ideas — into the fold? 5. Start making reference calls earlier and present your findings back to the candidate. Recruiting and hiring executives is difficult for any leader, but especially for first-time or early-stage founders who may not have enough knowledge to test candidates for skill in their area of expertise. Thumbtack CEO Marco Zappacosta has been there, and he’s relied on a thorough process for vetting and closing a leadership team to get through it. And one of his best practices for evaluating senior executives centers around references and backchanneling. Zappacosta then talks to not two or three references but 10 to 20 people that he draws from various stages of the executive’s career. Historically, he's spent as much time on interviews as he does with references. So if he’s spent 15 hours with a candidate, he’ll spend the same amount of time backchanneling. “You want a holistic view, so you look to talk to peers, managers, and reports from the most important years in their career. I’m looking to learn exactly what they uniquely contributed and how well they worked with others,” he says. Where did they spike? How did they help create leverage for the business? What haven’t I asked that, if you were me, you would want to know about this person? This question gives references free license to say what they’ve wanted to share. This is often a good question to ask in the middle — versus the end — to “unlock” other conversations. 6. Court, dazzle and close by focusing on the details and always going out of your way. The lightbulb went off. Yoo was not NerdWallet’s COO (as she had first thought), but its final candidate — and Chen had paired the two so they’d bond and hopefully sign together. They did. “If I could sum up my hiring experience, I would say it was extremely authentic,” says Chialtas. “Tim shepherded me the entire way. If he was trying to close me, he did a hell of a job.” Since that magical moment, Chialtas has spent her days at NerdWallet designing and refining a dazzling experience that closes candidates. For the startup looking to do the same, try out her tactic of signalling dedication through details. For example, the NerdWallet team looks for small nuances in candidates’ social media profiles, such as their favorite food or sports team, to weave into their outbound messages and future communication. “We try to find as many touch points as we can to connect on a personal level. Investing in this early makes closing conversations drastically easier because you’re acknowledging someone as a person — not just a name on a hiring list — from the start,” Chialtas says. An interview day outline. NerdWallet sends every candidate an outline detailing their day at the office 48-hours before they arrive. It includes: the names and roles of the team members with whom they'll meet, interview times and duration, and any activities they will be participating in throughout the day. The goal is to provide them with all of the information they'll need to be excited to come in and have a great experience. Transportation tips. To help people avoid feeling frazzled walking into their interview, NerdWallet provides transportation tips, such as the nearest bus stops and parking spots, so candidates can start their day on a positive note. Literature for loved ones. Before a candidate receives an offer, NerdWallet shares their Benefits Summary. “It’s a helpful guide for people to take home to their families, and say, ‘Hey, I’m considering this offer. Let’s look through this together,’” says Chialtas. But if she could give only one piece of advice about recruiting, it would be to always go out of your way. Over her almost two decades in recruiting, Chialtas believes what’s changed most about the landscape is the increasing importance of getting out in front of candidates to successfully court talent, especially when they aren’t actively looking for a new role. “You can’t win unless you invest in candidates’ experiences. It has to become second nature,” she says. This is just the beginning of the Review's wisdom on tapping into unconventional tactics that can inspire and uplevel your hiring process. Check out the full articles referenced above as well as others on scaling hiring traditions, building engineering teams and running a perfect sales hiring process. Image by Filograph / Getty Images.